developing a program to allow contract receivables owed to numerous vendors by the State of Illinois to be repackaged into more liquid investments, which were then financed in separate transactions on a capital-efficient basis. Lary has a reputation for giving practical advice in transactions and advisory matters involving a wide variety of financial products and complex financings. 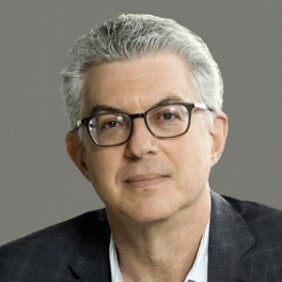 According to Chambers USA, Lary is "one of the best from a strategy perspective," "extremely logical and very good at cutting through the surface material to get to the heart of any matter," has "a true gift... which allows him to stay calm and unrattled," and he "never says 'no,' but rather suggests how to get around limitations and exploit opportunities". He is "recommended for his advice on the full range of structured products and derivatives matters." He has been called an "expert of the highest caliber" with a "derivatives practice that is truly versatile, spanning advisory and transactional matters" (Chambers Global). Chambers Global - The World's Leading Lawyers: Band 1 in global rankings of derivatives specialists. Chambers USA –America's Leading Lawyers: Band 1 in U.S. national rankings of derivatives specialists. The Best Lawyers in America: a leading lawyer in Derivatives and Futures, Securitization and Structured Finance, where clients praised his "strong technical skills" and noted that he is "extremely practical in his advice." Super Lawyers (New York): listed in the inaugural and each subsequent edition. In addition to his role on the firm’s Management Committee, Lary is responsible for developing strategies and resources to build and expand institutional relationships for nine of the firm’s global clients and for integrating the firm’s pro bono and diversity programs with similar programs run by clients in order to increase their impact and build client relationships through shared values. While public and private sector participants continue to tackle the big issues raised by replacing “the world’s most important number” (LIBOR), statements coming out of the Roundtable held this week reveal that the devil also lies in the details. For example, Chairman Giancarlo reiterated the regulators’ support for derivatives to include a “pre-cessation” fallback trigger to align with the language being developed by the ARRC’s various cash product working groups. This two-year extension is welcome relief and aligns the timing in the EU with the deadline for USD LIBOR announced by Andrew Bailey of the Financial Conduct Authority. It also provides more time to develop ESTER as the risk-free alternative rate in the EU. Global coordination is essential for a successful transition away from the IBOR benchmarks. Cadwalader launched a "LIBOR Preparedness Team" to assist firms with the transition to alternative rates.